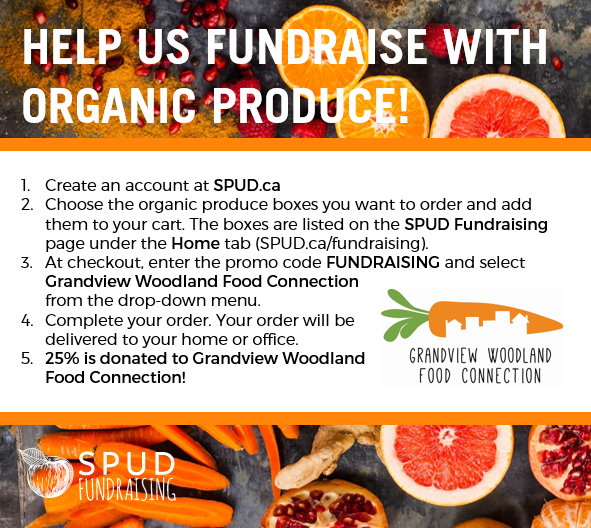 I would like to first express my deepest gratitude to those of you who volunteered with the Grandview Woodland Food Connection last year. We had a great year and with your help, we made it all that much better. The GWFC is very much dependent on volunteer support. With only one paid staff, our capacity to deliver community food programming is somewhat limited. With a growing number of programs that we want to run and increasing demands, we are reliant on volunteers to a large extent. And 2018 is shaping up to be a busy year and we are already looking forward to a few interesting projects along with the usual programming. Here are a few opportunities that you might be interested in this coming year. 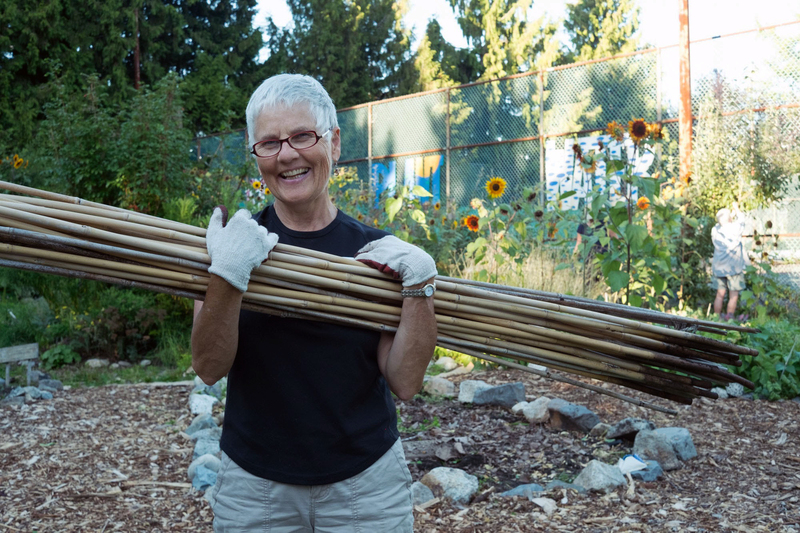 Some of these volunteer opportunities are more “maintenance” in nature, ensuring that existing programs run smoothly, while other opportunities are more open to your creativity, interest, and experimentation. We welcome your project ideas and always want to innovate and stay open to new ways of doing things. Britannia School Garden Fundraiser – This is our main school garden fundraiser and usually includes a gourmet meal, entertainment, and silent auction. This event is very popular in the community and we will try to hold the event outside near the garden this year. We are looking for a team of about 5 or 6 people to help with organizing – food donations, prep and cooking, communications and outreach, poster design, finding silent auction prizes and general event planning, including set up and clean up. Bulk Food Driver – Our Bulk Food Program runs the 2nd and 3rd Thursday every month. We are looking for one or two drivers able to access our MODO truck (we can sign you up) to pick up food from Freshpoint, Discovery and Foodbank (all just 2km away) from 8:30am – 10:30am. Britannia School Gardening Team – The Britannia school gardens are quite large and despite working with students in the garden through the year, we do not have them enough to fully maintain the gardens. 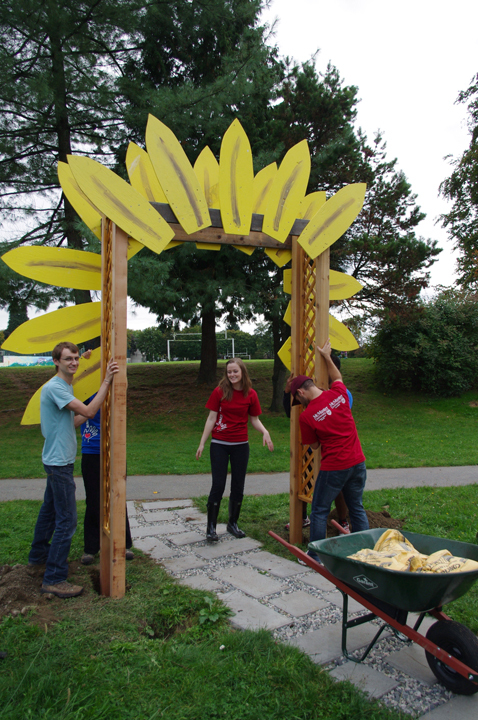 Therefore we will be organizing monthly volunteer work parties through the growing season working on a variety of gardening tasks. 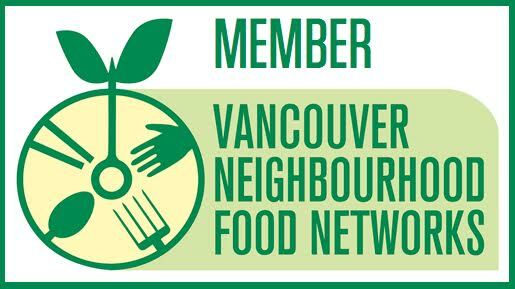 Community Food Resources Researcher – I have a community food resources page on my blog that needs updating. This is a single one off project to update the information which will involve contacting agencies in the area for program updates. 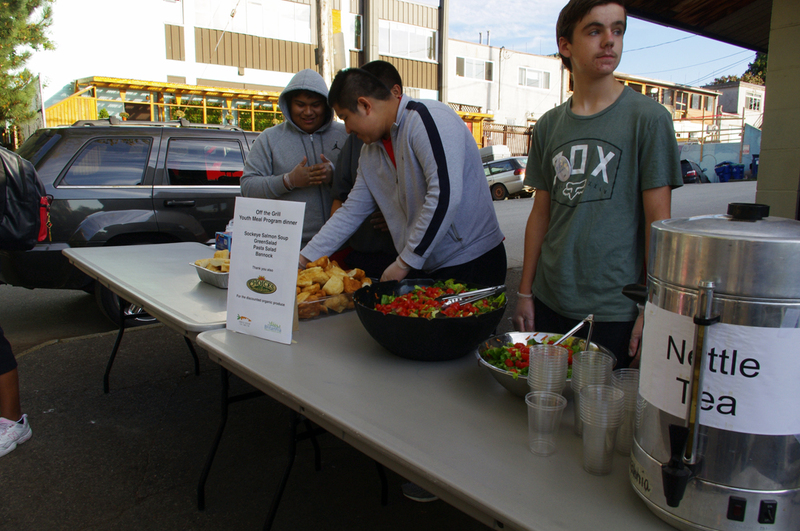 Food Skills Workshop Assistants – We hope to start a new food skills and healthy living workshop this year and will be looking for support to run this program. This work will likely entail 3 – 4 hrs weekly and require good interpersonal skills with knowledge of healthy eating a strong asset. Wild Salmon Caravan – The GWFC and Britannia have both been very involved as co-organizers in the Indigenous led Wild Salmon Caravan, as we will again this year. We will be looking for help mobilizing local communities, planning, creating art, etc. 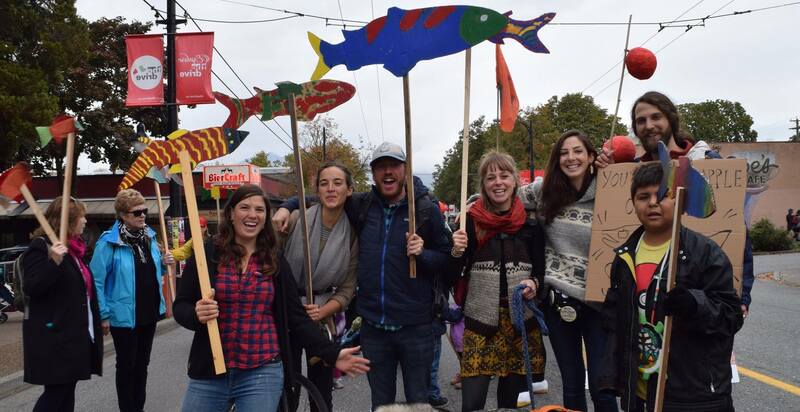 Last year we helped create a beautiful salmon bike float. Raffle Fundraiser Coordinator – The GWFC is 100% dependent on grants and other forms of fundraising. One idea this year is to run a Class D raffle (up to $5,000) and would be looking for someone who is well organized to coordinate this project. Raffles can be fun. Much of the work is recruiting people to sell booklets of tickets, something many people are more that happy to help do. Food Workshop Educators – Do you have a special food skill that you would like to share? Presented as workshops, many of these are paid workshops, so earn a little money. Syrian Dinner and Fundraiser – This special event will be held in the spring and we are looking for people to help organize this event. We will be raising funds to help sponsor a Syrian refugee family. 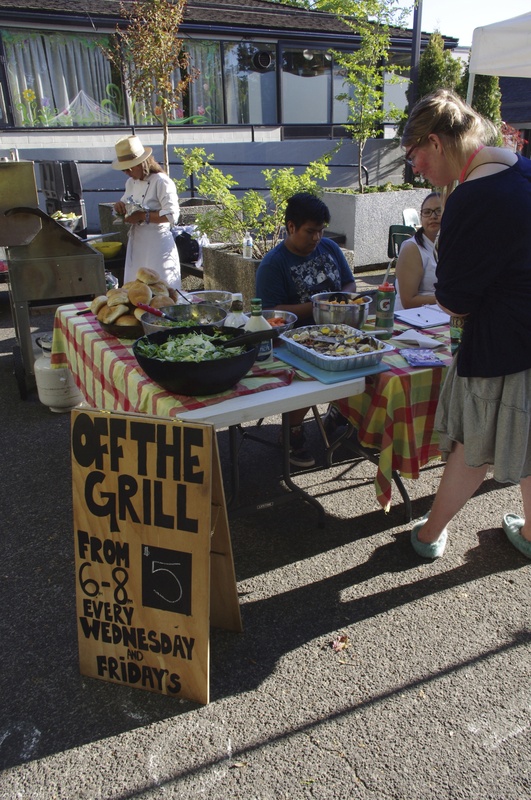 Small Neighborhood Grants Facilitator – I am not sure where this could go, but one idea is for the GWFC to help generate and /or support a variety of small food project ideas that community members could apply for funding (up to $500) to make a project happen. Poverty Reduction Strategy Consultations Organizer – The BC govt. is initiating this public consultation until March 30. One idea is for us to host a small dialogue group/kitchens table forum to stimulate ideas and action towards this consultation. GWFC Advisory – Are you interested in organizational development? We welcome individuals to be a part of our bi-monthly advisory meetings and help provide guidance, ideas, feedback and support, ensuring that we are delivering the best programming possible. The work expectation is minimal – just to show up once every couple of months and provide your input. Video Documentation – Telling the story of our programs is important and what better way to tell that story than through video. We welcome anyone that would love to hone their video skills, even short YouTube uploads. This is probably enough for now. Hopefully some of this interests you. We look forward to hearing from you or working with you in the future.